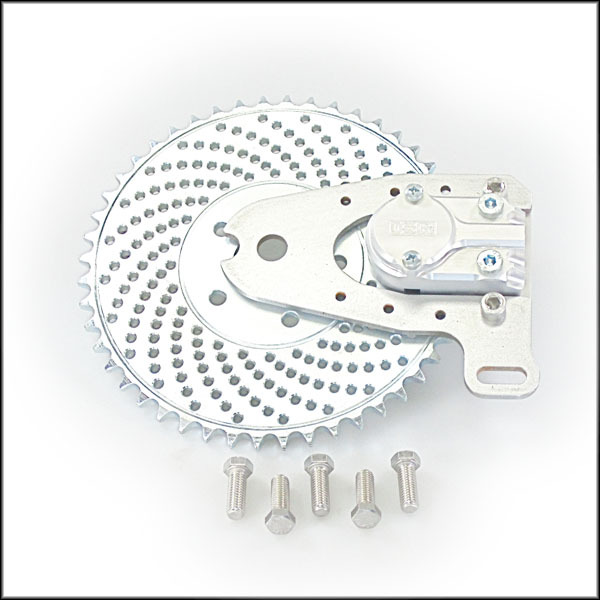 Our LACC / ISR 2 Piston Sprocket Brake Kit is high tech and super clean. Comes complete with Caliper, Sprocket Rotor, Pads, Caliper Bracket and necessary hardware. 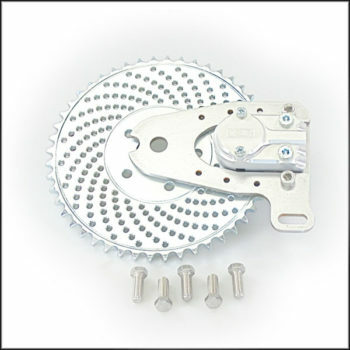 Available in 46 or 48 Tooth for left hand or right hand drive, with small or large indexing hole and to fit 3/4 inch or 1 inch axles.All ISR Brake Components use ONLY DOT 4 brake fluid.Accepts 10 x 1.25 mm Banjo Bolt (not included). Add our Specially Priced Banjo Bolt Kit (includes 1 ISR Stainless Steel 10×1.25mm Banjo Bolt and 2 10mm Sealing Washers) now and save the extra cost of shipping. Axle Size Choose an option3/4"1"